Today on this packed Tuesday Bucky & Sully Show brought you ALL around the sports landscape in our “Headlines”! Obviously we discussed the Super Bowl which saw the New England Patriots win their 6th Super Bowl in the Brady-Belichick Era and some more of the celebration coming out of New England. How is everyone faring in the warmer weather? We made it in and couldn’t be happier about the melting snow. UB Mens hoops lost over the weekend so we got into where they rank after the release of yesterdays AP Poll. We spoke with Nate Oats, HC of the team about what went wrong, what needs to improve and his outlook moving forward. Always a great guest and a great friend of the show! Sabres are in the midst of a 7 game home stand in which they dropped the first game to the Hawks at home. Tonight is the Minnesota Wild matchup; one the Sabres will be trying hard to grab ATLEAST a point from. Joe Yerdon of the Athletic Buffalo covering the Sabres joined us to talk this home stand and what it means to get the most out of every game they host. 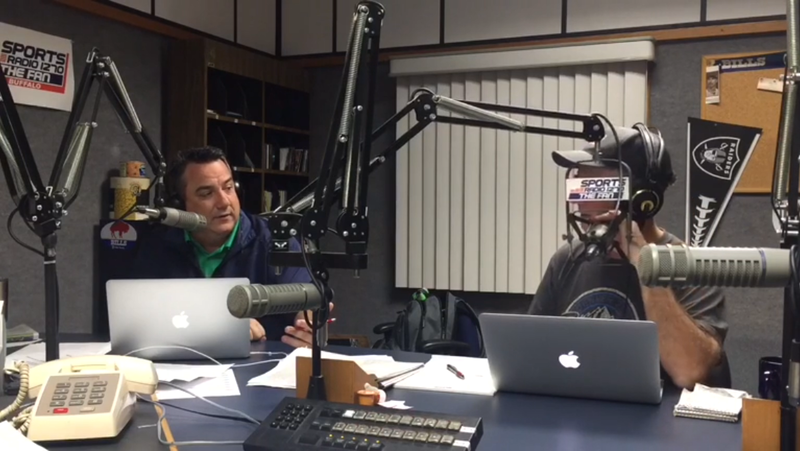 HOUR 1:OPEN, SB 53 Champs Pats talk, Sabres Lines Discussion, NATE OATS, POLL, ThermoSTATS. HOUR 2: BUCK UP! Did infact take place! Joe Yerdon, More on Sabres and Headlines!